24/7 Online Bill Pay. Safely and securely pay outstanding bills. View our available storage units and get one for your stuff today! No worries! Speak with one of our self storage specialists. NOW OPEN! Our new state-of-the-art Single Story Self Storage facility in New Braunfels, Texas is located just off of I-35 on Loop 337. This location includes Standard & Climate Controlled storage options and provides quick and easy access for all of our New Braunfels neighbors. Lone Star Storage New Braunfels is a 100% single story self storage facility that offers the highest security measures in the area featuring: Individual Door Alarms, 24/7 Monitored Video Surveillance, Security Lighting, Wide Driveways, & Secure Fencing. In addition, we have the latest PTI EASY CODE software offering mobile gate entry/exit. With this App tenants can get their access history, receive notifications when their unit alarm is triggered, view unit activity, and comes with voice recognition for convenient hands free entry/exit. Lone Star Storage Center New Braunfels also features Covered RV & Boat Parking with the same security features as our storage units. Our parking includes Bright Lighting, 50′ feet WIDE concrete driveways giving you plenty of maneuverability, and 16′ feet of clearance over head with parking spaces up to 13’x45′ feet. Included with your parking spot are electrical hook ups and water access, at NO ADDITIONAL CHARGE with your storage rental. Lone Star Storage New Braunfels’ parking area is 100% concrete, so your RV or Boat will be Road Ready every time! Want your RV or Boat to be enclosed? Our 12.5’x35’ Enclosed storage units easily accommodate all but the largest RV’s and Boats. These units also feature Individual Door Alarms, 14’ feet high & 10.5’ feet wide roll up doors for easy entry/exit, Interior over head lighting and electricity inside every unit! Additionally, with the EASY CODE App you never have to get out of your RV to open the gate. Your peace of mind and easy convenient access to your RV or Boat are our highest priority. 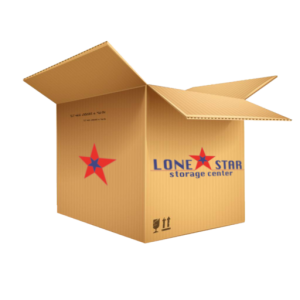 Lone Star Storage New Braunfels is committed to an easy & convenient solution to your self storage needs. Whether you need short or long term storage, rest assured Lone Star Storage New Braunfels will exceed your expectations from the time you enter our doors, to the time you no longer need our assistance. on every unit at our New Braunfels location! When you Reserve Online with Lone Star! LET US HELP YOU FIND THE RIGHT SIZE! We believe you should only pay for the space you actually need. Let us know your budget, timeframe, and the items you'd like to keep secure, and our self storage experts will find the perfect unit for you. This way we can be sure to provide exactly what your are looking for at the lowest price!